These skills include learning how to install and customize Windows 10 operating systems and apps, and configure local and remote network connectivity and storage. 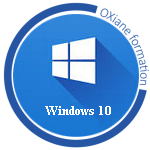 This module introduces the Windows 10 operating system. It describes the new features in Windows 10, and the important changes since Windows 8.1. It describes the use, navigation, and customization of the new, enhanced user interface. This module also mentions the features of Windows 10 that make it beneficial for organizations of different sizes. This module introduces the different editions of Windows 10, and the differences between them. It describes the requirements and available options for installing Windows 10 on a device. It also provides instructions on installing Windows 10 and upgrading to it. This module discusses points to consider when deciding between an upgrade or migration to Windows 10, and the supported upgrade paths from older versions of the Windows operating system. This module explains how to configure Windows 10 by using tools such as the Settings app, Control Panel, Windows PowerShell, Remote Server Administration Tools (RSAT) and Group Policy Objects (GPOs). It describes the different types of user accounts, and the benefits of using a Microsoft account. This module also describes Microsoft OneDrive, and how it integrates with Windows 10. This module explains the use of tools such as the Settings app, Network and Sharing Center, and Windows PowerShell to configure network settings. It describes the differences between IPv4 and IPv6 settings, and the benefits of IPv6. It also describes name resolution and provides an overview of the Domain Name System (DNS) service. This module describes the configuration of wireless connectivity in Windows 10, and explains remote access methods available in Windows 10, such as Virtual Private Networks (VPNs), DirectAccess, and Remote Desktop. This module provides an overview of storage options such as hard disks, server-based storage, and virtual hard disks. It describes network storage options such as Network Attached Storage (NAS) and Storage Area Network (SAN), and cloud-based storage options such as OneDrive and Azure Storage. This module describes the management and maintenance of disks, partitions, and volumes. It also describes the Storage Spaces feature, and the process of configuring it. This module provides an overview of the file systems supported by Windows 10. It explains how to configure file permissions, the effect of file permissions, how explicit and inherited permissions work, and how to include user and device claims in access permissions. This module also explains how to share folders, the tools to use for sharing a folder, and the effective permissions when a user tries to access data in a shared folder that is protected by file permissions. The last lesson in the module describes how to add and share a printer, and how to manage client and server side printing. This module describes how to install and configure both desktop apps and Windows Store apps in Windows 10. It explains how to install apps manually and automatically, and how to use Microsoft Systems Center Configuration Manager and Microsoft Intune to deploy apps. It describes the Windows Store, and how to manage access to it. This module also describes the Internet Explorer 11 and Edge browsers, and explains how to configure and manage both. This module explains how the technologies available with Windows 10 work together to protect against data-related security threats. It provides an overview of these threats, and discusses possible mitigations and best practices for dealing with them. It describes defense-in-depth and Encrypting File System (EFS), and their usage in countering security threats. This module also describes how to configure, administer, and monitor BitLocker. This module explains how to mitigate security threats with the use of Security Compliance Manager, Enhanced Mitigation Experience Toolkit, and security settings in GPOs. It also describes User Account Control (UAC), and how to configure it. This module describes common network-related security threats, and describes options to mitigate them. It describes Windows Firewall, IPsec connection security rules, and Windows Defender, and how to configure these tools to manage network security. This module describes Windows Update, and Windows Update for Business, and how to configure settings for updates. It describes how to use Windows Server Update Services (WSUS), Configuration Manager, or Intune to distribute updates within organizations. This module also explains how to use the Action Center, Event Viewer, and Performance Monitor in Windows 10. This module describes device drivers, and how to use the Device Manager to view, configure, update, and roll back device drivers. It explains file recovery methods in Windows 10, such as Backup and Restore, File History, and Previous Versions. This module also explains features such as System Restore, Startup Recovery, and System Image Recovery, and describes how to use restore points to roll back device configuration. Describe the important new features of Windows 10. Install Windows 10. Configure a device running Windows 10. Configure network connectivity for a Windows 10 device. Manage storage in Windows 10. Manage files and printers. Manage apps. Manage data security. Manage device security. Implement Windows 10 features to improve network security. Monitor and update Windows 10 devices. Restore files, roll back drivers, and recover Windows 10 devices.